This pole pruner set is ideal for demanding, precise pruning. “I came. I sawed. I conquered." Defeat your daily landscaping tasks with the strength and versatility of the PP 900. 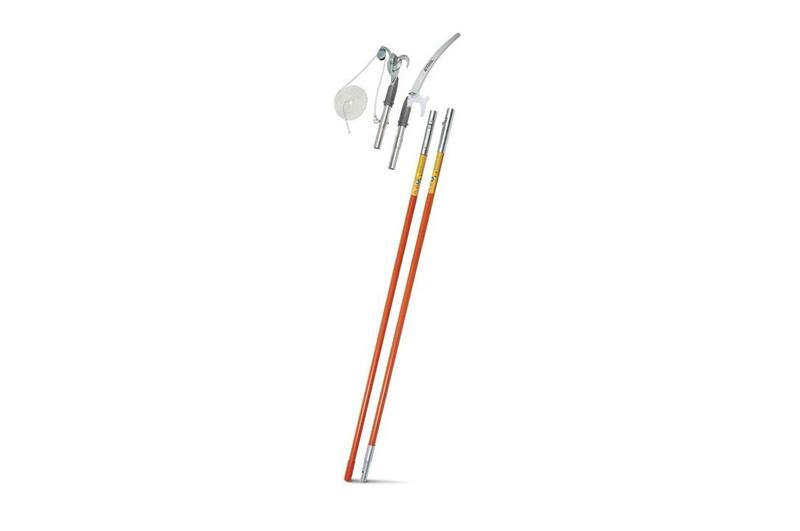 This heavy-duty manual pole pruner set is part of the STIHL Precision Series™ and includes two durable fiberglass poles with a working reach of 12' above the ground (up to 18' with purchase of optional extension pole). The set also includes a lopper head with a high-carbon steel blade - great for cutting branches up to 1.25" in diameter - and a saw head (blade sold separately). And all parts are easily replaceable, so you can keep conquering with this set indefinitely. Note: The saw head is compatible with the PS 70 blade.